DevilKnits - Tasmanian made knitwear -Scarves - Luxury Merino Wraps and gift ideas. Luxurious 100% Merino Wool Wraps, fashionable and versatile. Soft and warm, beautiful variegated chunky knit scarves. 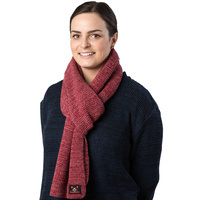 Each wrap / scarf features our cute DevilKnits® logo.